It’s impossible to quantify the exact impact Stan Lee—who died on Monday at 95—had on pop culture, but a good place to start is the Marvel Cinematic Universe, a billion-dollar big-screen empire built on the backs of comic book characters created by Lee along with artists and writers like Jack Kirby, Joe Simon, and Steve Ditko. 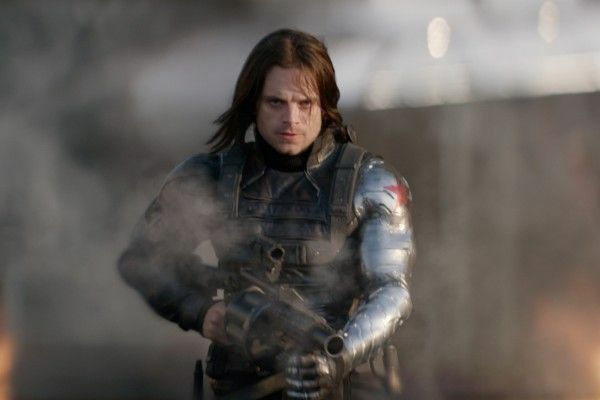 After portraying Bucky Barnes and his one-armed alter-ego The Winter Soldier across four films, Sebastian Stan has played an integral role in fleshing out the MCU. Collider’s own Steve Weintraub happened to be interviewing Stan for Karyn Kusama‘s Destroyer on the morning of Lee’s death, and the actor shared a few thoughts on Marvel’s most jovial architect. The MCU is also headed for what amounts to a season finale with next year’s still-untitled Avengers 4, the second half of the showdown with the Mad Titan Thanos that the Russo Brothers‘ started in Avengers: Infinity War. The two films were largely shot simultaneously, a massive undertaking that resulted in Stan feeling unsure that Bucky Barnes even appears in the finale. No matter what, Stan will return as Bucky Barnes eventually, as part of the Disney+ series focusing on The Winter Soldier and Anthony Mackie‘s Falcon. Look out for our full interview with Stan soon on Collider.com.